So in true British fashion I’m going to complain about the weather. London has been meltingly hot over the past week and as a result I have retreated ‘in doors’ in a bid to keep cool. 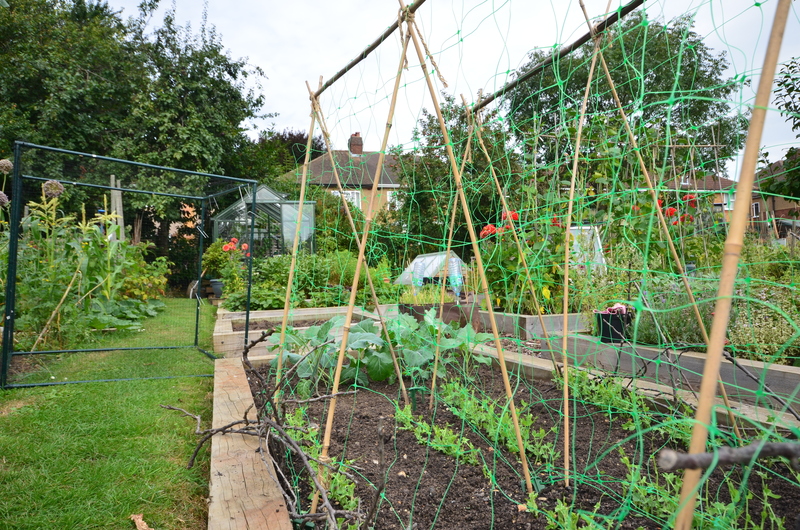 Although not gardening I haven’t wasted the time entirely, a couple of weeks ago I met with Nick Porter who works for The Green Spaces Team at Hillingdon Borough Council we talked about allotments, how to find one and how to make it work. Following on from this I’m in the process of compiling some information pages for the blog based on what he told me. As well as that, yesterday Derek and I visited the gardens at Highgrove House the Gloucester home of HRH The Prince of Wales and The Duchess of Cornwall. Needless to say it was beautiful but perhaps not in the way I had expected and I want to think about it a bit before writing a post. Finally, today it is a bit cooler so I have been down to the site to see how everything is doing. Astonishingly, given all the rain we had earlier in the season the soil has pulled away from the edges of the raised beds by a good two or three centimetres and large cracks are zig zagging across the front of the plot. So I’ve watered everything thoroughly, weeded and removed some gone to seed lettuce and comedy sized beetroots. 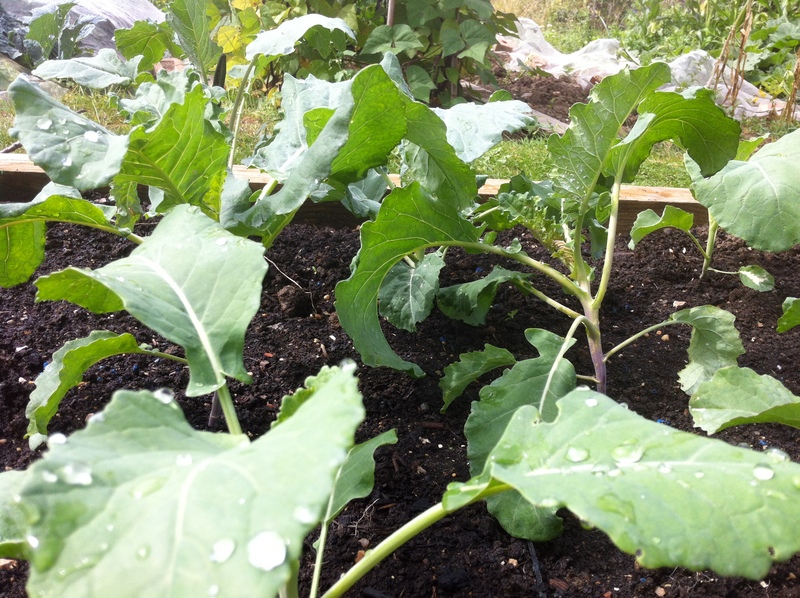 As well as that, the brassicas have become over run with white fly, the kale is now on the compost heap and the newly planted broccoli plants have been sprayed. We are still harvesting Pink Fir Apple potatoes and have a new variety of climbing bean called Zebra. 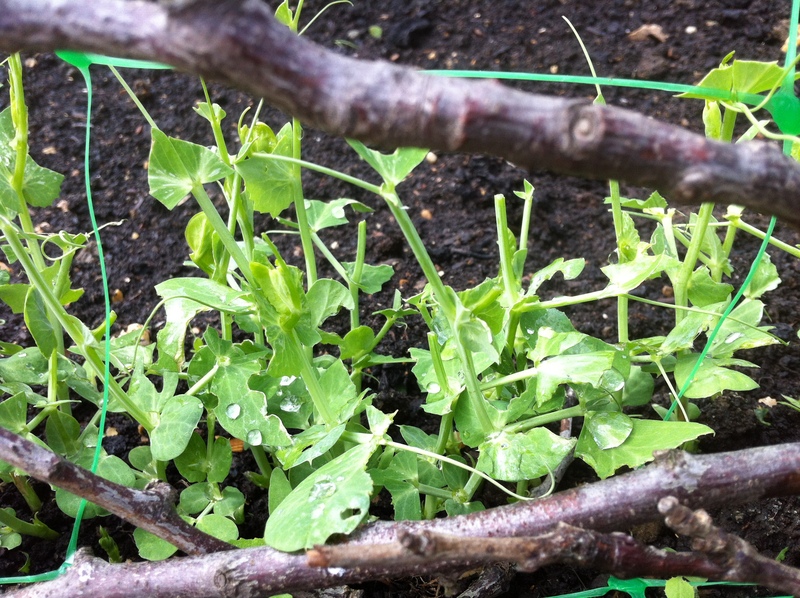 I am hoping that the Avola peas and Shiraz mange tout sown three weeks ago will survive an attack by mice and that now the butternut squash are finally getting going that there is enough of the growing season left for them to fully develop. Thats my news let me know what you have been up to in the comments. Hi Victoria be interested to know what your guy from Hillingdon has to say about neglect of plots. The way I see it if you agree to take on a plot you need to be committed to the idea that it is and can be hard work short cuts rarely work, a lot of folks don`t realise this when they sign on the dotted line. It’s amazing how quickly water can drain or evaporate from soil. Nevertheless, everything looks beautifully green. Looking forward to your post about Highgrove House. Be well.